The Phoenix Business Journal selected MeMD Founder and CEO Dr. John Shufeldt as a finalist in the Innovator category for the 2018 Health Care Heroes awards. Recognizing the need for evolution in healthcare delivery, Dr. Shufeldt blended the urgent care model with the best of telehealth technology, creating MeMD in 2010 to provide convenient, on-demand care for common illnesses, injuries and behavioral health issues that fits into patients’ busy lifestyles. An ER physician by trade, Dr. Shufeldt’s innovative work reaches beyond the hospital setting, spanning a wide variety of ventures both in and out of the healthcare industry. He has founded more than 30 startups, including NextCare Urgent Care, one of the nation’s leading urgent care providers. 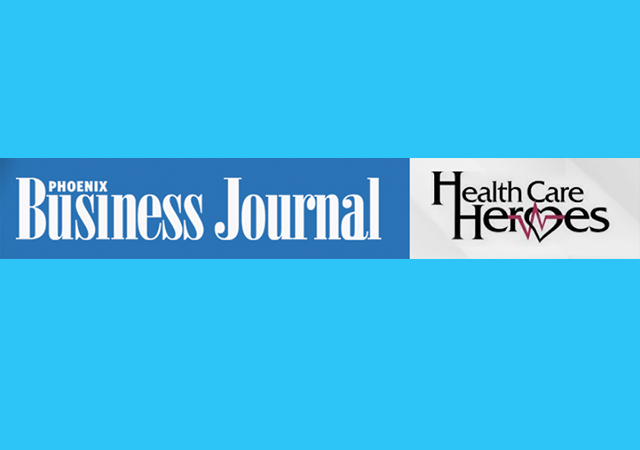 Health Care Heroes is the Phoenix Business Journal’s annual award program that recognizes individuals who are leading the healthcare industry in the Phoenix area. Categories include Innovator, Education, Community Outreach, Physician, Philanthropic Champion, Nursing, Dental and more. Winners will be honored at an event on August 23 at the Hyatt Regency Scottsdale Resort.